Henrietta Lovell’s passion for tea led her to set up the Rare Tea Co. in 2004. 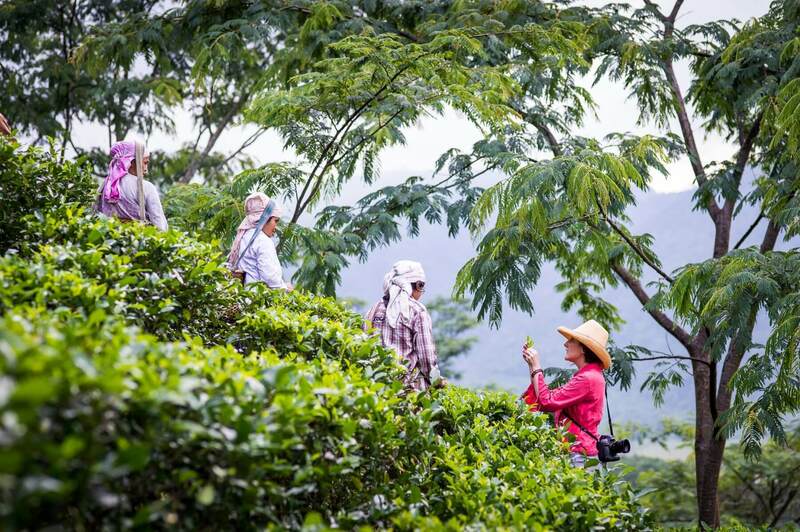 Personally sourcing all of the tea the company sells, she travels to small mountain farms and works directly with the farmers, and her London office is full to the brim with teas from all over the world as well as a vast array of teaware to drink from. As Tea Consultant for Principal, we went to find out more about her and all things tea. You’d think the British would know all there is to know about the subject, but it seems we’re missing out on some of the finest teas the world has to offer. Just like wine, you’re paying for quality and flavour – a cheap bottle of plonk (or industrial tea bag) versus a celebratory vintage champagne (or quality loose leaf tea). There are thousands of varieties too and a really beautiful tea doesn’t have to cost the earth. There’s more to tea than you think. Terroir is the term used to describe all the elements of what makes a particular tea (or indeed, wine) taste the way it does – from the pH of the soil, to drainage, sunlight and elevation of the ground. Growers will use different production methods too – so the same variety grown in different places will have a very different flavour. During the 1800s, green tea was by far the most widespread in Britain (often served with bread and butter), but by the 1900s handmade black tea had become the fashion. Milk was almost never added; instead creamy foods were served to balance out the rich tannins, such as scones and clotted cream. In fact, the British were the first to blend tea – English Breakfast being the most well-known. This term was coined by New Yorkers in 1905 who used it to describe what English people drank for breakfast. Some tea blenders also used their skills to make blended whisky – notably Johnnie Walker, who started his business as a grocer selling blended teas. By the 1980s, the industrial tea bag had made its way into people’s homes, and the supermarkets began to use it as a loss leader. Africa became a bigger player in the tea-producing market, and remains so, due to cheap labour: with many people now living on £1 a day. • Place about a teaspoon of tea per person into your teapot (2g for white and green tea, 2.5g for black tea) and put fresh water in the kettle. If you re-boil the water it loses oxygen and the tea won’t taste as good. • To extract the sweeter notes in the tea use water below boiling point: 70°C for white and green tea, 80°C if you take black tea without milk. To cope with the additional flavours of milk and sugar, use water at 95°C. Herbal infusions are best when the water is at 95-100°C. 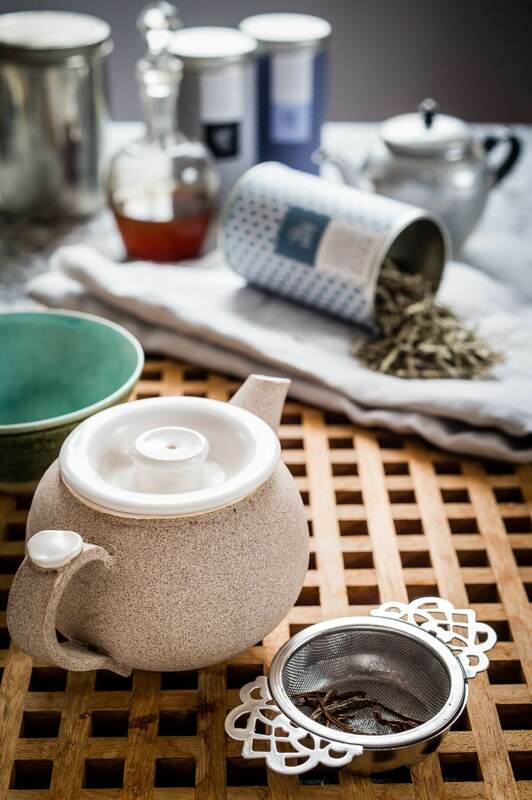 There are excellent temperature controlled kettles available, or add a little cold water when you boil the kettle (25ml for black tea, 50ml for green and white tea). Infuse for 1-3 minutes depending on your preference. • Make several infusions – your tea has more to give than just one cup. Just place a tea cosy on top of your teapot to keep it warm, as the second or third infusion is usually the best. • You can also buy unbleached tea bags to put your loose leaf tea in – perfect for when you’re short for time.